Starting off as an enterprise wiki that had to try hard to catch up with competitors, Confluence is now leading the pack of enterprise wikis and pushing into the field of top enterprise social software platforms. While networking and communication functionality are meanwhile fully integrated, major improvements have been made concerning the usability of Macros and the editor. Confluence is feature rich and with JIRA integration especially appealing to IT focused companies. To move from “Challenger” to “Leader”, Atlassian still needs to enhance the user experience of Confluence. Enterprise Communication on a basic level is well supported in Confluence. The blog functionality is not comparable to the standards of native blog-applications but flexible and good enough for enterprise communication on various levels. Blogs can be assigned to a user or a workspace and can be additionally structured with autocomplete tags. The blog feature benefits from the, overall good, feedback functionality in Confluence. All content can be commented and readability is ensured through threaded conversations. In addition comments can be collapsed which enables users to get an overview in longer conversations. Moderation is easy for authorized people and commenting may be disabled for particular pages. Publishing workflows are not natively supported but can be added with a plug-in. There are no groups of pages, but every single page can be moderated and access can be restricted. Collaboration and Knowledge Exchange is where Confluence performs best. Workspaces can be easily set up and permissions can be configured for user groups or individuals down to the page level. Hierarchical structuring of wiki-pages is standard functionality and on the workspace level it can be added. Within workspaces users can collaborate by editing wiki-pages in a WYSIWYG editor or using wiki-markup. With the new Confluence 4, Atlassian added versatility to the utmost extent to its much criticized rich text editor. To extend standard wiki-functionality, Atlassian has introduced “macros” which used to be code snippets enabling users to integrate all kinds of internal and external content including MS Office documents, (parts of) other wiki-pages, RSS feeds and IM/Presence information. Users can easily select and configure macros with a macro-browser. This functionality has been extended up to the level of an “App Store”. Document Management is comparatively strong for a wiki-platform. Attachments are automatically versioned and WebDAV support enables users to easily edit attached documents in their local office-programs without having to go through the whole down- and upload process. Word documents can be embedded or transformed into a wiki-page and similarly a wiki-page can be exported in pdf or doc format. The networking functionality, even if impressive in extent, remains poorly structured. Users are able to fill their profile with personal information, contact data and skills, and can choose to follow colleagues. The list of followed people constitutes the (indirect) personal network of a user and the respective page displays a simple activity stream of all members within it. In addition to the profile-, network- and status-updates page, each user has a personal space (wiki-page) which contains a user’s activity stream, a free text self-description (“About me”) and a collapsible profile summary (including current status, recent activity & network). The separation of personal space and profile is confusing and the profile summary, while itself useful, adds complexity due to unclear navigation. The confluence search function is good but not yet adjusted for Networking. Personal Information Management in Confluence is tarnished by the lack of a proper user dashboard. Although the starting page displays a list of the user’s favorite pages, quick links to all or only selected spaces and the related activity streams, the absence of widgets, RSS integration or other customization features undermines its status as a dashboard. However, each user has a personal workspace which is customizable and can be enriched with a wide range of added features through “macros” including a search field a personal tag cloud or RSS feeds. Very useful in that respect are the RSS feedbuilder and filter-macros which allow users to aggregate all personally relevant information in automatically updating streams. Personal bookmarking is possible, and search strong, as it includes all spaces and content types (including attachments) while filtering results according to user rights. Project Management is based on the collaboration capabilities of a social software product. Atlassian Confluence is strong in collaboration and thus provides a good basis for Project Management. A new workspace can be set up for a project and configured with fine grained permissions for project members and other stakeholders. Beyond standard social software functionality, Confluence provides simple task and time-management. It is possible to set up a wiki page as a project dashboard including a calendar to display milestones and a master-task-list for the whole project. In version 4.3 it is possible to directly assign tasks to project team members. The member gets immediately a notification on the new Workbox. Where he can edit and comment it. For a better Selforganization the user can now forgive yourself task on the Workbox. For more advanced project management, Atlassian suggest integrating with their issue-tracking software JIRA. In combination with it, Confluence workspaces can be configured as potent project collaboration platforms. Nevertheless, use and integration of the two products requires profound technical knowledge. Companies can buy a Confluence license and deploy the software on their own servers or choose to have a dedicated instance on an Atlassian hosted server (SaaS). Confluence works with a broad range of application servers, operating systems and databases including Oracle, DB2, SQL Server, Postgre- and MySQL. While large scale deployments have worked fine in terms of scaling, clustering has been reported to be problematic in single cases. The software is Java based and though generally well implemented, it has some weaknesses in the application architecture. Besides English, Confluence supports many languages including German, Spanish, French, Russian and Chinese. Mobile access is supported for most vendors. Basic CSS and logo customizations to match the corporate design are very easy in Confluence. While some of the competing products cannot be further customized, Confluence comes with a theme builder plug-in which enables implementers to design custom themes with a distinct appearance, navigation and functionality for spaces or individual wiki-pages. Customization and functionality extension on a personal level requires deeper technical understanding, but is possible by the integration of “macros” into wiki-pages which can manipulate the layout of pages as well as add a broad range of additional functionality. Currently, a few more than 200 plug-ins are available for Confluence and an active developer community around the product uses the Confluence plug-in framework to add more. 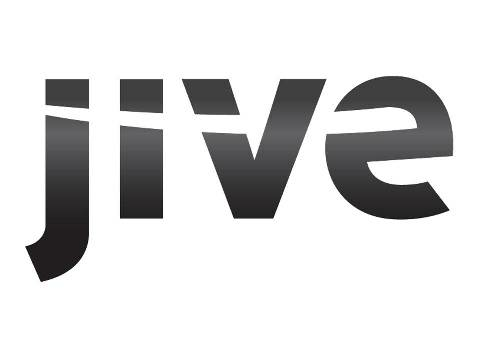 Confluence has an API for integration with other software, connectors for bi-directional integration with SharePoint and JIRA are available. The high granularity in the management of access controls gives Confluence the good rating in Data & Security. Although it may be time-consuming to manage access rights in the fine nuances that Confluence provides the effort pays off in enterprise use and LDAP integration with corporate directory groups facilitates the process. Confluence supports Single Sign On (SSO) and SSL encryption and the lack of proper life cycle management is outbalanced by the benefit of automatic system backups. Atlassian offers a plugin called “Universal Wiki Converter” which automates migration of content from all major enterprise wikis to Confluence. Due to the complexity of migration-processes for that number of supported tools, companies should test this plug-in for their particular system before switching to Confluence. Regarding to Gartner’s Magic Quadrant for “social software in a workplace” Atlassian Confluence has risen from a “visionary” (2008) to a “challenger” (2011). This is due to Atlassian’s impressive reference deployments and a customer base of more than 10,000 companies in more than 100 countries, including many Fortune 1,000 companies. The company does not reveal financial numbers but the fact that they are intensively hiring indicates that their financial situation is very solid and that they are growing quickly. A main driver for increasing adoption is the clear and low cost licensing strategy with a 10 users introduction version for just 10$ and the unlimited user license for as little as 12,000$. Due to their IT focus Confluence is mainly adopted in that realm but pushing into other markets too. The decision to add other social software features beyond wiki functionality has helped, but to become a market leader they need to sharpen their vision and strategy. 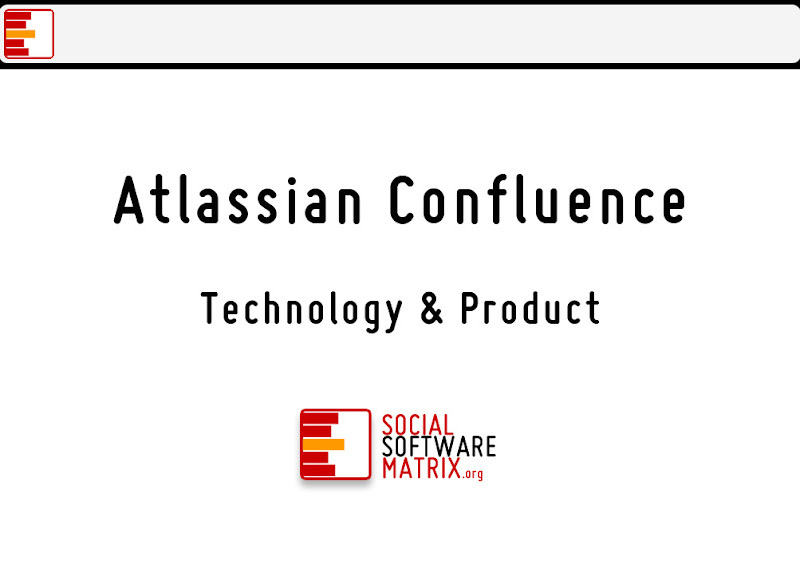 Atlassian Confluence is an attractive product in terms of Support & Services. For a relatively small company, the worldwide network of more than 300 partners in 80 countries is impressive. Even if direct vendor support is limited, companies will not have to suffer from that if they work together with experienced Atlassian partners. Furthermore the very good online documentation of Confluence and the active developer and implementer community online can be consulted for information and help. Atlassian tries to schedule major product updates of high quality for every fourth month, with minor (bug-fix) releases each month. Thank you for this analysis. Following I find worth improving: “There are no groups of pages, but every single page can be moderated and access can be restricted.” This makes it look more tedious than it really is. Any page can be the root of a sub-tree, and by restricting that single page, all child pages in that sub-tree inherit the restriction. Whether you call this a group of pages I leave up to you.